Isabella Fullerton. Image courtesy James Horman. Isabella Fullerton outside her house opposite the burnt out Manildra Flour Mill. 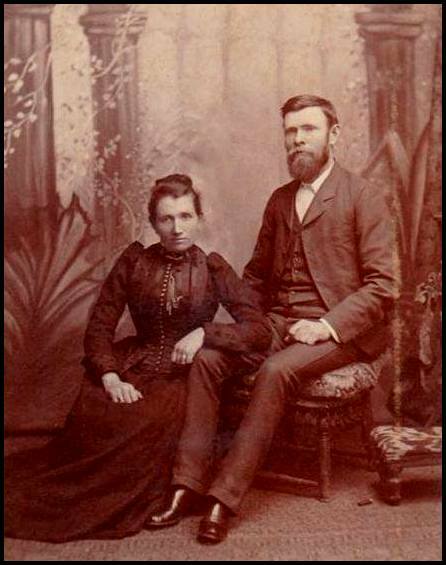 Isabella was the wife of James Fullerton, and the grandmother of James Horman. The flour mill and associated machinery were totally destroyed by a fire on 28 February 1936. The damage was estimated to be £10,000. The new flour mill commenced operations on 20 April 1938. James and Isabella Fullerton. Image courtesy James Horman. James Fullerton and his wife Isabella in front of the two trees that stood in front of their house opposite the Manildra Flour Mill. James came to Manildra from Ireland before the First World War; it was 15 years before the rest of his family was able to join him. James’ grandson, James Horman, fondly remembers climbing the trees as a child, collecting the pine cones and eating the nuts. Dennis Toohey was born in Galway, Ireland, in 1848. When Dennis was orphaned at ten years or age he travelled to Melbourne to join his older brother, Jeremiah. The brothers tried their luck in the Victorian gold fields near Beechworth, and, in 1861, journeyed on horseback to Forbes. In November 1878 the Central West was inundated with torrential rain; low lying dwellings were swept away and two men drowned. The newly built bridge on the Parkes to Orange road was submerged by more than a metre of water, and mail deliveries in the district were severely disrupted. Mr Toohey, however, was determined to deliver his mail on time; he swam 100 yards across the Mandagery Creek, and 300 yards across the Bundagundry Creek to do so. 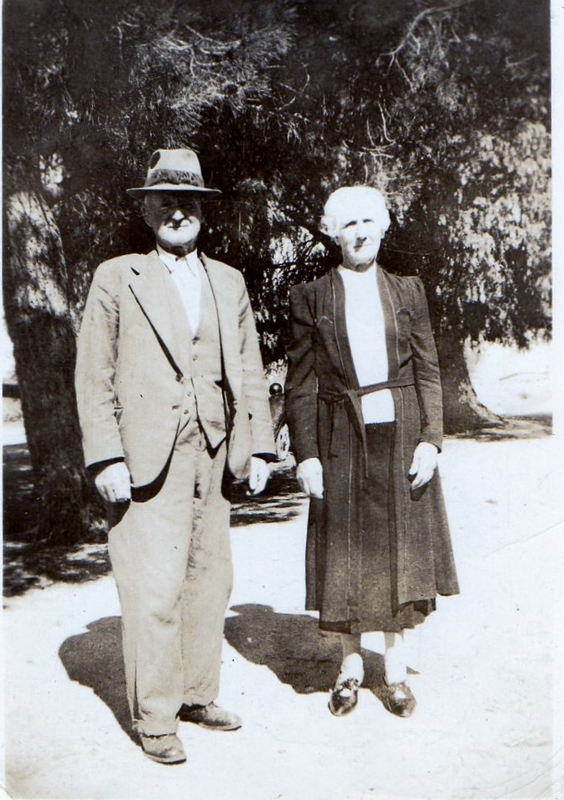 Dennis Toohey later moved to Parkes, where, in 1889, he built Tattersall’s Hotel, which he and his wife Elizabeth operated for many years. 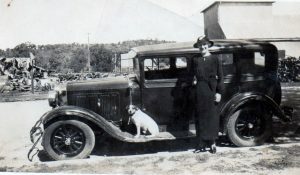 The couple later leased the Commercial Hotel at Peak Hill and the Vandenberg Hotel in Forbes. Australian Town and Country Journal, 9 November 1878, p. 39. Tindall, RT 1982, Parkes, one hundred years of local government, Council of the Shire of Parkes, Parkes NSW. Western Champion, 15 October 1925, p. 13. The establishment of Manildra’s Public School one hundred years ago was dogged by delays until teacher, Miss Mary Powell, took the matter in hand and opened the school herself. She opened the doors of the Gregra Anglican Church for her first pupils on August 1, 1882 and promptly wrote a decisive memo to the Education Department. “I took charge of the school on August 1st, 1882”. School days were a bit of a lark until the cane caught up with you back at the Merinburn school at Manildra in the early days of World War I.